Offering natural image rendering and exceptional sharpness, the AF NIKKOR 50mm f/1.8D is a versatile, affordable prime lens. Extremely compact and lightweight—it weighs approximately 5.5 oz (155 g)— making it a convenient carry-around lens for nearly any shooting opportunity. Its aperture control ring enables smooth manual adjustments during Live View shooting, making it a great video partner, too. The AF NIKKOR 50mm f/1.8D is as versatile as it is compact—perfect for travel, portraits and general photography. Its fast f/1.8 maximum aperture creates an attractive natural background blur (bokeh) and enables great low-light shooting. Produce consistently stunning visuals, indoors or out. The AF NIKKOR 50mm f/1.8D is fast enough for shooting in most lighting situations without a flash—from dusk and dawn to dim indoor lighting. Its aperture control ring allows for manual adjustments during Live View shooting. Broaden your shooting opportunities. I've just started my new hobby of photography & am still a amateur in this field. When I was planning to buy a new lens, I just slipped into this site. I tried the lens on a 5 day trip to Madurai and got some amazing stills. The only thing I missed was the AS-S since my cam is a D5100 and it doesn’t have a in-built Focus motor :( . Hope I’ll see some AF-S version of this lens soon in this cart !. For guys near Velachery it is a great place to pick a lens on rent and try out new lenses without burning any holes in the wallet. 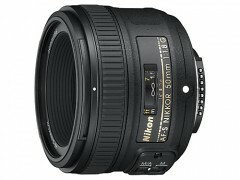 My next try would be the Nikon 85mm f/1.4G AF-S as suggested by one of the contact in this site.